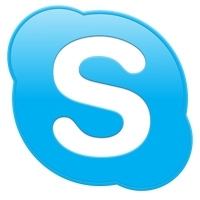 Skype is without a doubt the most popular text, voice and video communication software today. It enables you to connect with your friends anywhere in the world on their desktop PCs, mobile phones and tablets, enabling not only safe and easy “peer to peer” communication, but also ability to call regular mobile phones worldwide, secure transferring of files, conference calling, and desktop screen sharing. Enjoy free video calls with anyone who also has Skype. Share a bedtime story, host a meeting or take a language class with our best ever video quality. Call people who are on Skype for free or on their phones at great low rates. Ring your best friend to make weekend plans or touch base with a client on the other side of the world with crystal clear audio. Skype made it even easier to keep in touch with friends and family. Now you can connect with your Facebook friends through Skype. See your Facebook newsfeed, update your status, comment and like direct from Skype.